What’s the benefit of leasing vs. buying? View the benefits of leasing vs. buying your new vehicle. I can’t turn my key in the ignition when I go to start my car. What could be wrong? One thing you can check yourself is to see if your steering wheel lock is set. This can be set by pulling the steering wheel one way or the other with the key out of the ignition. Try turning your steering wheel in either direction while simultaneously turning your key. If this is the problem the key should turn forward. If that doesn’t work then there may be a problem with you key, if you have a second key you should try that. Sometimes the cut on a key gets dull and no longer lines up with the tumblers in the igntion cylinder. If you stil can’t turn your key then the problem should be diagnosed by one of our Toyota certified technicians. My car has a Smart Key and it won’t start. What should I do? There are a few things you will want to try yourself before calling for assistance. Your foot may not be firmly on the brake pedal when pressing the START button. Ensure you are pressing firmly on the brake pedal when attempting to start the vehicle. The Smart Key battery is weak. Hold the Smart Key next to the START button and depress. Please refer to your Owner’s Manual for instructions on replacing the Smart Key battery. The engine battery is weak. If the battery is weak it may be able to be jump started. You should come into Ron Tonkin Toyota and take advantage of our courtesy battery inspection. If you feel that your engine is starting slower than it used to or if you have had to jump start it, come in for your complimentary inspection so you don’t get stranded. The vehicle may be equipped with a Smart Key deactivation switch which was inadvertently pressed. The switch is located at the bottom of the instrument panel directly below the steering wheel. My check engine light is on. What should I do? The check engine can come on for many different reasons. A very common item is the fuel cap not being secured. That is the first thing you can check. If the cap was noticeably loose, odds are the loose cap was all that it was and the light should reset itself in a couple of days. If not then, we recommend stopping by for a complimentary scan of the computer to determine what the codes are and what the best course of action should be. We offer complimentary checks of your vehicle computer any time the check engine light comes on. What are the warranty coverage’s on a new Toyota? Emissions coverage may vary under Federal and California regulations. As model year 2009, Oregon adopted California emissions warranty guidelines. How can I tell if my Toyota has any safety recalls that need to be performed? You can call one of our friendly service consultants and they can run your (VIN) Vehicle Identification Number through the Toyota system. (503) 255-0177. Another option is to do it yourself and run your VIN number yourself here. Either way will be able to let you know if your vehicle has outstanding recalls. Not all outstanding recalls can be immediately performed so please call ahead to schedule. How do I know when my tires should be replaced? Tires have built-in tread wear indicators or wear bars that run perpendicular to tire tread. The wear bars are thin strips of rubber spread out every few inches. The tread level becomes even with the wear bar at approximately 2/32″ which is the legal limit on tires. With the amount of rain we get here in the Northwest, we recommend replacement of tires at 4/32nds of tread remaining. This is the point at which your stopping distance starts to increase rapidly. If your tires are 4/32nds, your tires are not unsafe but it is time to consider replacement soon. 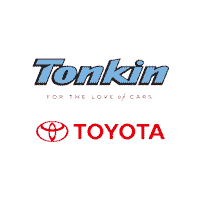 What transportation options are available to me when I service my vehicle at Ron Tonkin Toyota? We have multiple options to help make servicing with us as easy as possible. We are a Toyota Rent a Car dealership so this means that you are welcome to rent a Toyota or Scion from us while you wait. You have the option of a 3-hour rental for those shorter stays or our daily rental which can be used for as many days as you would like. We also have our courtesy shuttle which can take you home and back, as long as your destination is within in our shuttle boundaries. Our shuttle is not always immediately available so we recommend that when you schedule your appointment, let your service advisor know that you would like a shuttle and we will try to have one available as close to your appointment time as possible. We provide TriMet passes which are work for both the MAX and Bus travel. The MAX BLUE line has a station on 122nd Ave which is less than ½ a mile directly north on 122nd Ave. Bus #71 has 2 stops directly in front of Ron Tonkin Toyota. The Northbound #71 bus will take you to Prescott then west to 57th Ave. From there it will wind its way all the way to Clackamas Town Center. The Southbound #71 bus takes you to Foster Road and the west to 90th Ave, then circles its way back the way it came. The Vehicle Identification Number, commonly referred to as the VIN, is a sequence of 17 letters and numbers that is uniquely assigned for each vehicle. It can be found in the many places on your vehicle, most common at the driver’s side door jam and the driver’s side lower windshield area. The VIN provides some information about the vehicle. It is typically composed of four sections. The first three digits are called the World Manufacturer Identifier (WMI). Toyota VINs starting with “1”, “4”, or “5” represent vehicles assembled in the United States, VINs beginning with “2” indicate vehicles assembled in Canada, and vehicles with VINs beginning with “3” were assembled in Mexico. Vehicles with VINs that start with “J” were produced in Japan. The next five digits (4 through 8) are the Vehicle Description Section (VDS). These digits provide information on the body style, engine type, seat belt/airbag types, vehicle series, and model line respectively. The ninth digit is a check digit used internally. The 10th digit indicates the model year; letters (except “O” and “Z”) were used for vehicles up to the 2000 model year while numbers are used for 2001-2009 vehicles and returning to letters for 2010. For example, “X” means the 1999 model year, “Y” is the 2000 model year, “1” represents the 2001 model year, and “A” represents 2010. The 11th digit is the plant code. Finally, digits 12 – 17 are the unique serial number. If my car breaks down, how can I contact the roadside assistance that comes with ToyotaCare? ToyotaCare’s roadside assistance number for eligible customers is 1-800-444-4195. Hearing impaired customers can reach roadside assistance with a TTY device at 1-800-747-2128. The ToyotaCare 24 hour roadside assistance plan includes jumping starting batteries, tire service, emergency fuel delivery, lockout protection, towing and winching. Roadside assistance is offered for 2 years from the vehicle’s date of first use with no limitation on mileage. For more detailed information refer to your ToyotaCare welcome kit or call 1-800-444-4195. There is a noise every time that I press the brake pedal. What should I do? You should have them checked as soon as possible. Your brake system is the most critical safety system in your vehicle. It could be something as simple as a rock stuck in the brake caliper or something more serious like the brake lining indicator alerting you to the fact that it is time to replace your brake pads. If the noise goes away, it may not necessarily mean that the problem has also gone away. In many cases, the metal tab that acts as the low brake indicator will break off and will no longer make noise which will allow the brake pad material to go below what is considered a safe thickness. One of Ron Tonkin Toyota’s factory-trained technicians will be able to determine exactly what is needed to get you back on the road safely. How do I know if my car needs an alignment or a tire balance? An alignment is what is performed to the suspension of your vehicle to ensure that your vehicle drives straight and that the tires wear evenly. In many cases, owners may not know that their alignment is out and it can occur gradually over time. One sign of an alignment being out is that the vehicle may track or veer either right or left with having to correct often. Another is that the steering wheel is slanted when the vehicle is driving straight. One additional is that the tires will show uneven wear or wear out fast. In most cases, performing 4wheel alignment will adjust everything back to within the specified acceptable range to help maximize your tire life. A tire balance is performed to each wheel and tires. When a tire is mounted onto your wheel when new, it has to be balanced which is done with a machine and adding wheel weights to ensure that when the wheel spins it is balanced. The most common symptom of a tire that is not balanced is a vibration felt in the steering wheel at higher speeds. That usually indicated that one of the front tires are out of balance. If a tire is out of balance in the rear, it usually not noticed until it is rotated to the front.